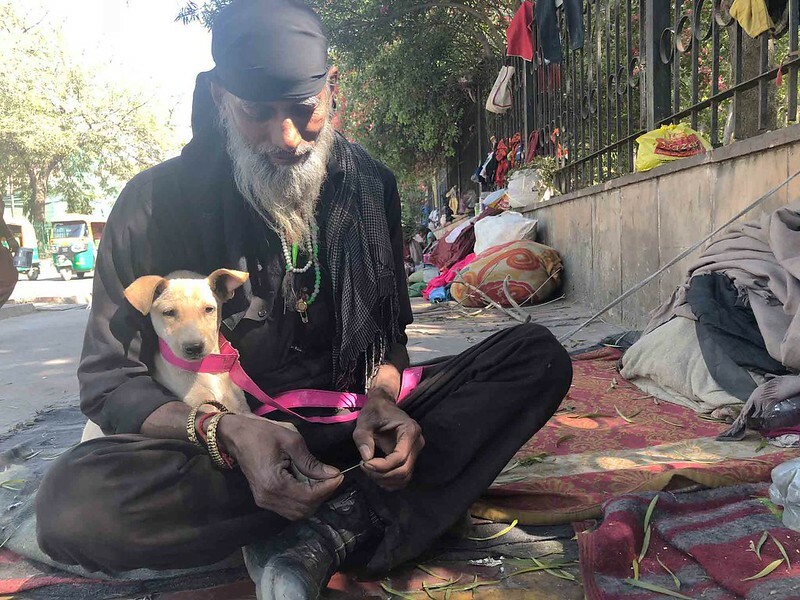 A pavement on Central Delhi’s Mathura Road recently received two new residents. 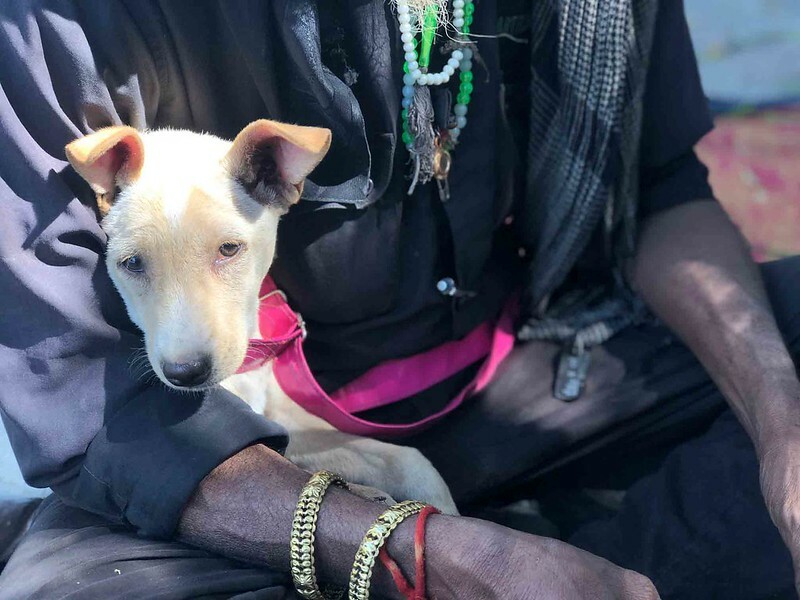 Shera has a long white beard and is always dressed in black, while Raja is a light brown pup. 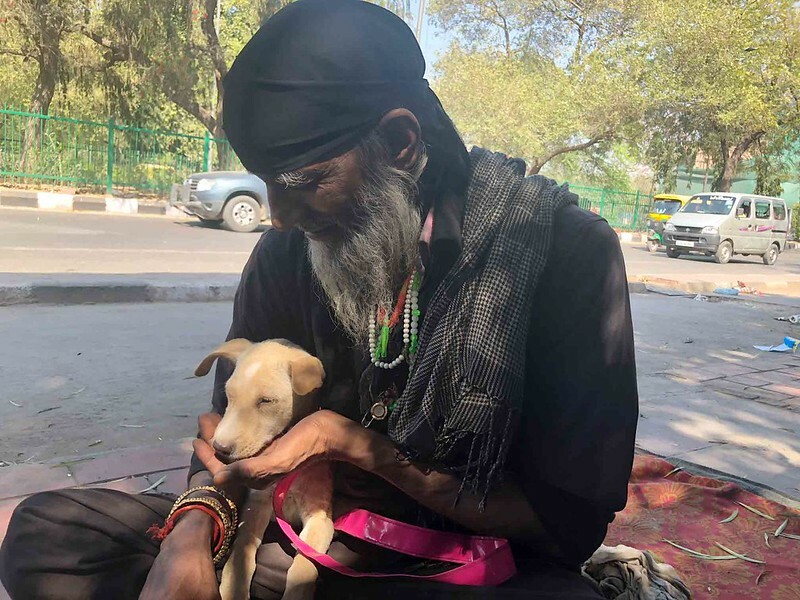 A homeless wanderer travelling from one city to another, Shera confesses that he has not much attachment to the world except for his Raja. 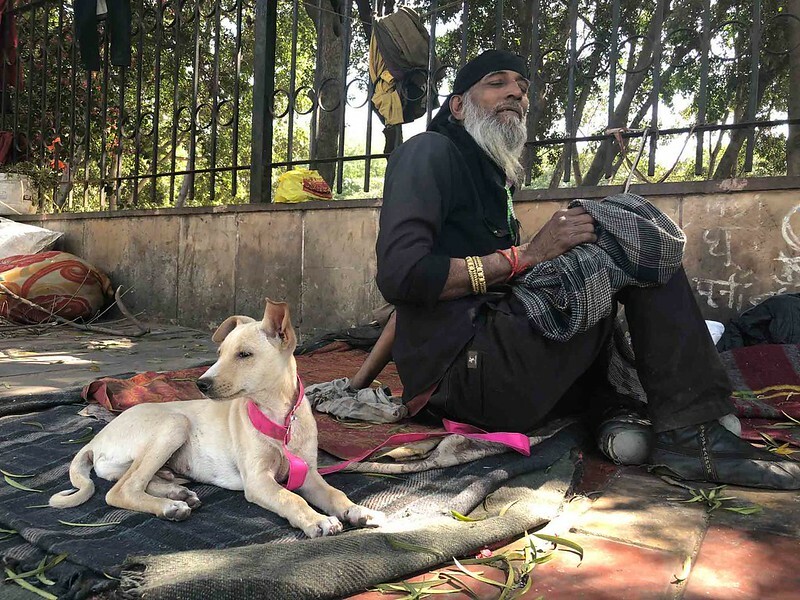 All day long they sit on the footpath, with Raja tied to an eye-catching pink leash. 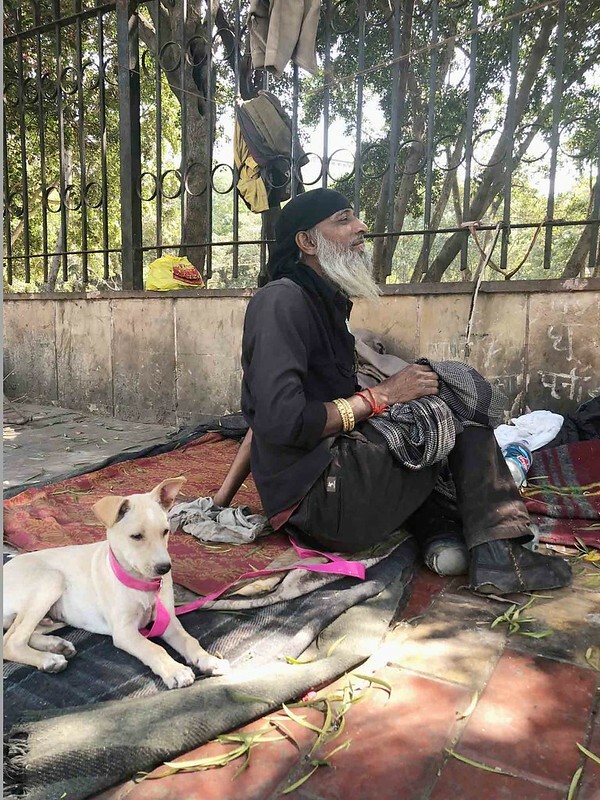 There’s no certainty for how long Mathura Road will host the two friends. 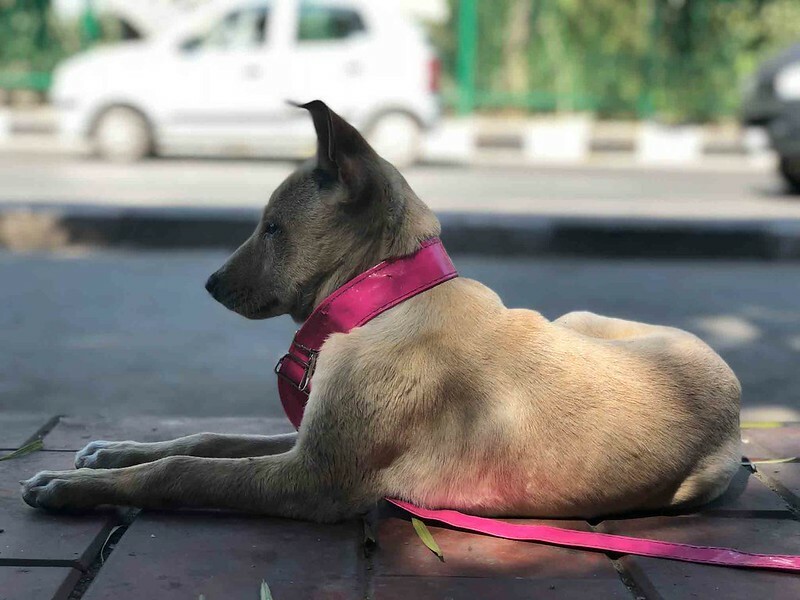 “We will go away when our time is up,” says Shera.